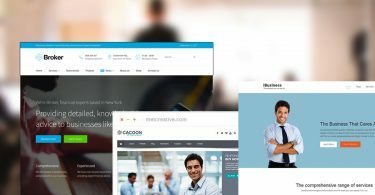 Here is the collection of best Genesis WordPress themes to help you get started with your own website without any hassles or wasting huge amount of time in developing the site from scratch. These themes are built on the powerful Genesis framework and come loaded with essential tools for easy configuration of the site. They are all well coded and documented by the experienced WordPress developers. Majority of these themes are developed with SEO in mind for optimizing the site on different search engines. Users can easily customize these child themes in order to match their website requirement. They include detailed tutorials and offer extraordinary support to solve any problem if any faced by the users while installing or customizing the theme. 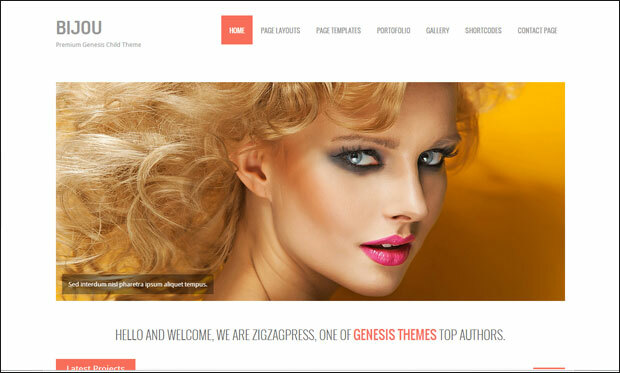 Without much ado, have a look at the 30 Best Genesis WordPress Themes. 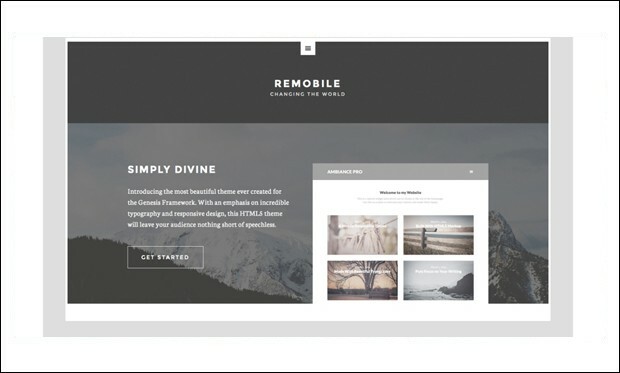 Remobile Pro is the fully responsive wordpress theme that is based on the Genesis Framework. It is bundled with the powerful features and advanced theme options panel that helps in creating the website with just a few clicks. 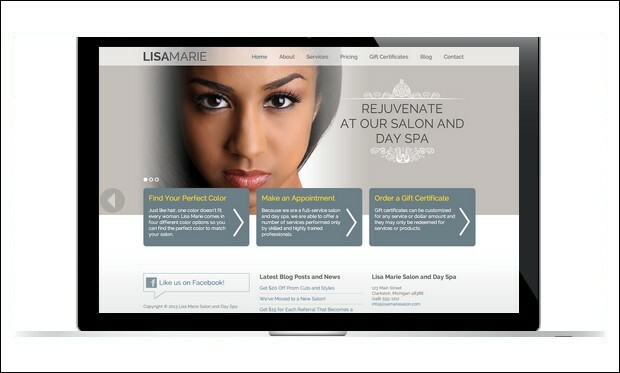 Lisa Marie is the Genesis Child theme that is specially designed for hair salon. It has four color options, lot of features and it is SEO optimized and friendly. It is translation ready and RTL ready. It completely overlays on the Genesis Framework. Badley is the flexible genesis child theme that has many additional features that helps in creating the SEO friendly and optimized websites. it is mobile friendly and responsive that is coded perfectly with HTML5 and supports schema. 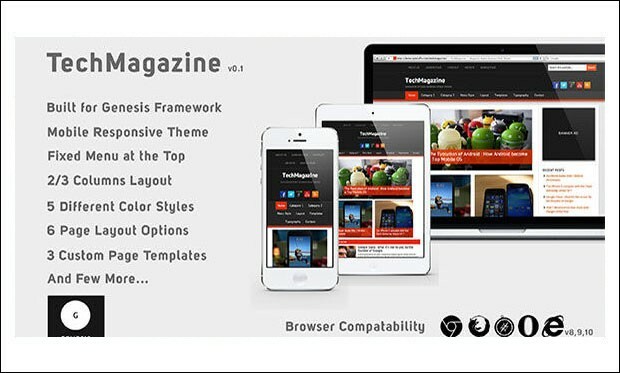 TechMagazine is the flexible and powerful genesis wordpress theme that is responsive and mobile friendly made for news and tech blogs. It has many refined and powerful theme options or features that help in creating the powerful websites. 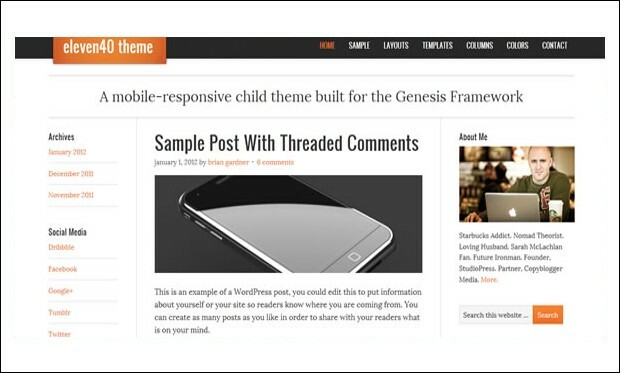 Eleven40 is the clean wordpress theme based on Genesis Framework. It is excellently designed that incorporates the mobile friendly and responsive layouts to the website. It is bundled with powerful and flexible features that help in creating the best website. Soren is the responsive and effective wordpress theme that is specially designed for Genesis Framework. It is fully featured and designed to create a fully secured website which is SEO friendly and fully responsive. 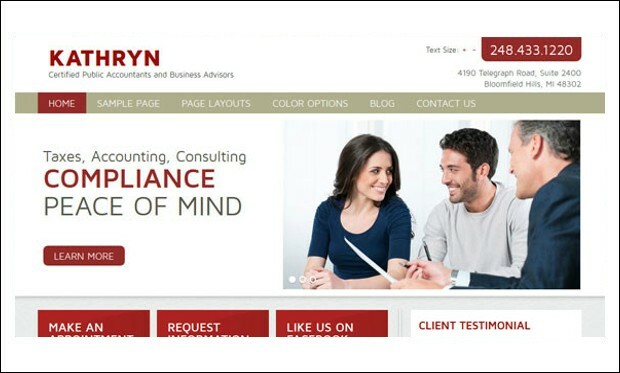 Kathryn is the Genesis child theme that is specially designed to create the CPA and accountant websites. it is coded with the HTML5 and supports schema that help in creating the responsive website within a few minutes. 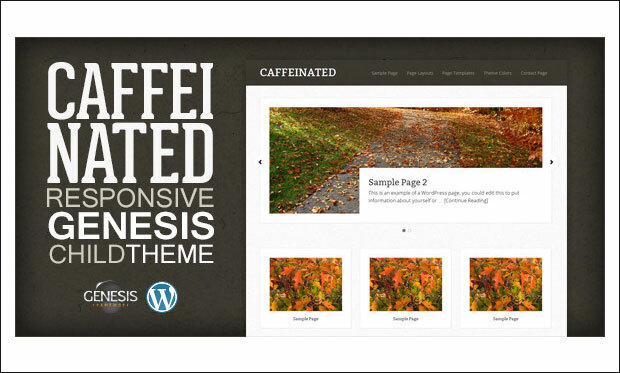 Caffeinated is a genesis child theme designed especially for coffee shop bloggers to help them build their own site easily. This theme can be used for magazine, blog, portfolio and business websites. It allows visitors to mainly focus on the content by using subtle patterns with white spaces. This mobile responsive theme is optimized for iPhone, iPad, PC, laptop and android devices. It supports WooCommerce and Genesis eNews Extended plugins. Djazz is a beautiful WordPress theme designed keeping in mind the needs of personal bloggers. 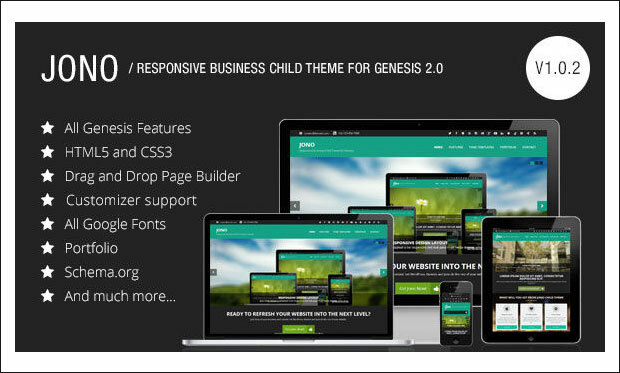 You can build your own site by downloading this Genesis child theme for $49. It includes theme options to help you get control over the site on click of a mouse button. It allows users to use the theme on different domains without any limits. 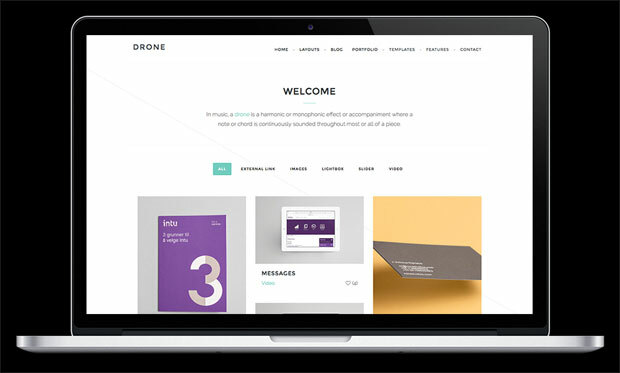 Drone is a simple and clean Genesis child theme especially designed for building blogs and portfolios in a professional manner. This theme inherits the Genesis SEO options and functionalities to enhance the appearance of the site on different search engines. It is compatible with major web browsers such as Google Chrome, Firefox, Opera, Safari, IE9, IE10 and IE11. This theme is mobile ready and localization ready. 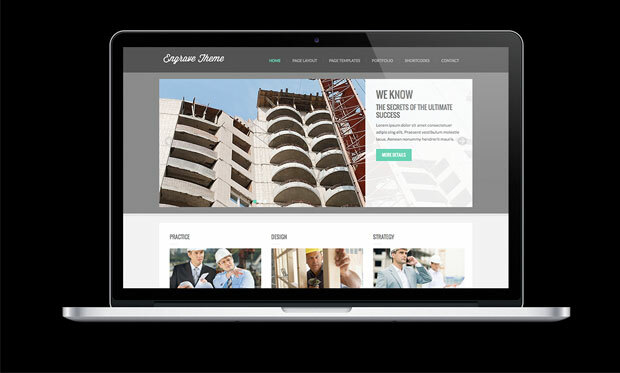 It’s a multipurpose genesis child theme that has been built with bootstrap framework. 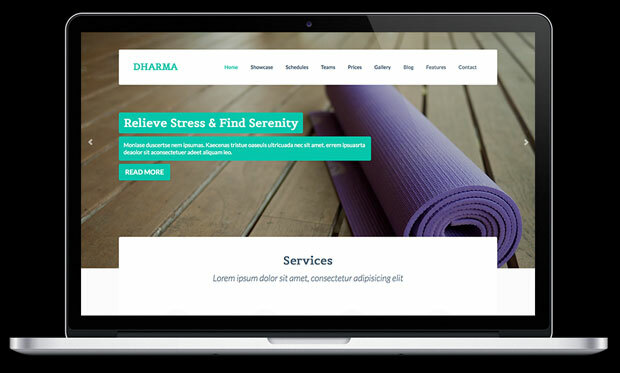 Dharma theme is Genesis 2 compatible, localization ready and cross browser compatible. It features powerful theme options to help users control and manage different elements of the site with ease. This theme is search engine optimized to improve website ranking and appearance on Google, Bing, Yahoo etc. 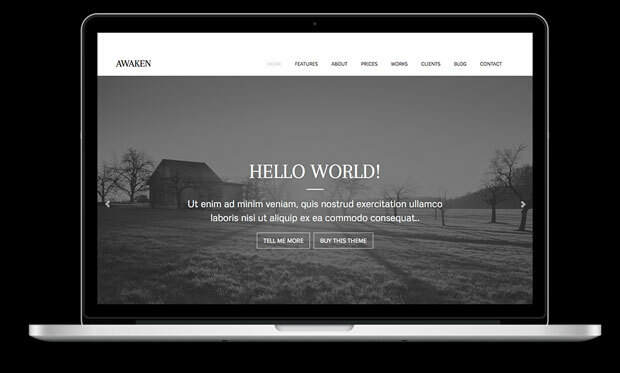 Built on bootstrap framework, Awaken is a clean and simple WordPress theme that extends the Genesis functionality. You can customize different elements of the theme with the help of theme options. This mobile ready theme perfectly fits on any screen sized device. It inherits Genesis SEO options to lessen bounce rate and improve site rank on popular search engines. Awaken includes .po and .mo files for easy translation of the entire website. 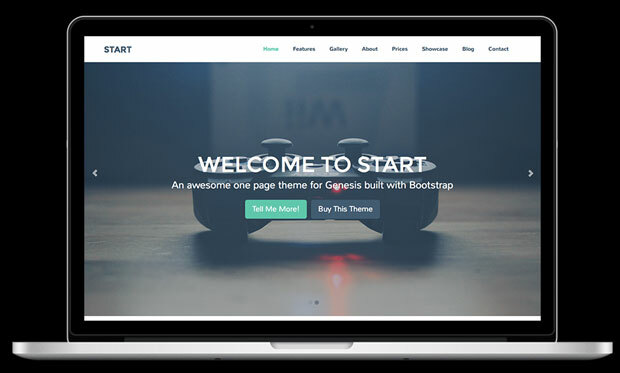 Start is a one page theme that has been built using parallax and bootstrap framework. It is mobile ready and compatible with major browsers like Chrome, Safari, Opera, Firefox and Internet Explorer. This child theme is SEO optimized to ensure more number of visitors landing on the web pages. It is localization ready for translating posts, pages and other content to any local language. 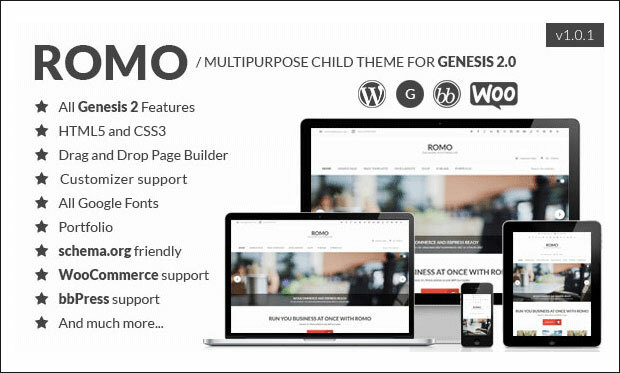 Romo is a clean genesis child theme that has been coded with HTML5 and CSS3 techniques. 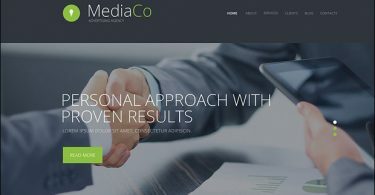 It would be an ideal choice for creating portfolio and corporate websites. 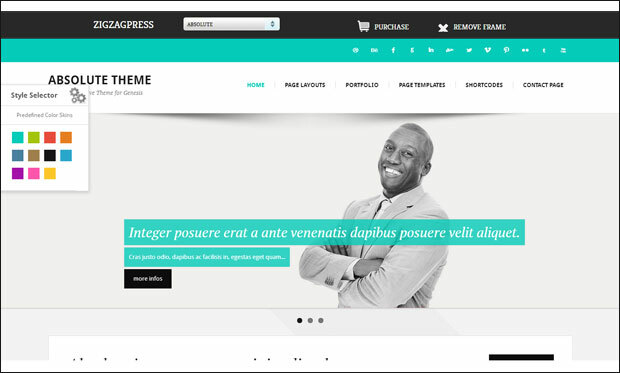 This theme supports bbPress and WooCommerce plugins. You can alter colours, fonts, backgrounds etc using WordPress theme customizer and have a real time preview of the changes made to the site. 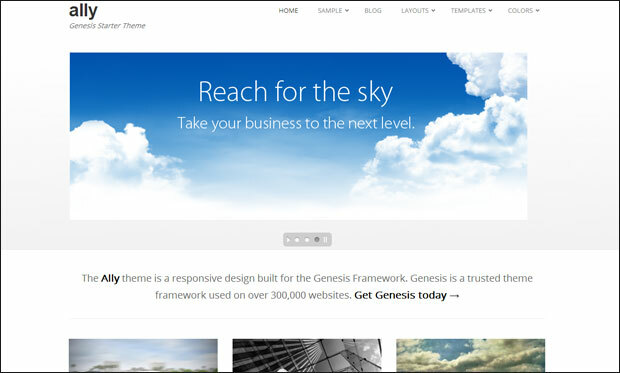 It’s an elegantly deigned business theme for Genesis framework 2.0. Jono is suitable for agency and freelancer business websites. It supports revolution slider, layer slider, aqua page builder, options framework and contact form 7 plugins. The responsive layout of this theme fits perfectly on devices of diverse screen resolution. It supports WP customizer and microformat. You can embed HTML5 audios and videos files on posts and pages. TechMagazine is a beautiful mobile responsive child theme built with Genesis framework. It includes 3 custom page layouts for blog, archive and landing page. This theme is tested to run well across popular web browsers. Design your site by choosing from 5 colour styles and 6 layout options. It is SEO optimized to improve ranking and appearance of the website on popular search engines. This Genesis child theme is designed keeping in mind the needs of creative professionals to help them create their own site easily. It has been built with HTML5 and CSS3 technologies. Due to its responsive layout, this theme scales down on different devices like PC, laptop, iPhone, iPad, smartphones, tablets and android. It includes useful shortcodes to boost the overall functionality of the website. 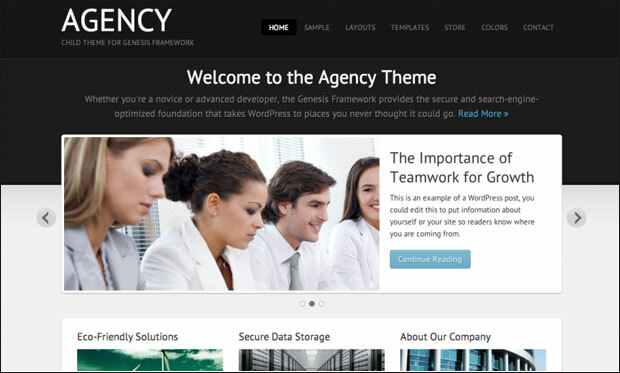 Agency is a smart Genesis child theme from Studiopress. It features easy to use options to help users with easy creation and customization of the website. 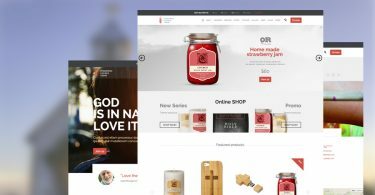 This theme is designed to grab the attention of the visitors towards the site and convince them to stay for longer time duration. It features custom backgrounds, colour styles, 6 layout options, custom menus, custom header and threaded comments. 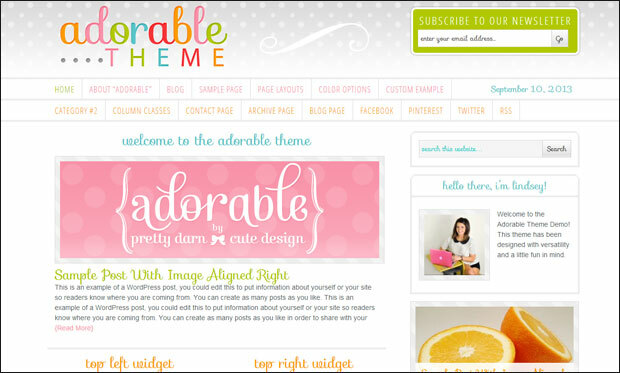 Adorable is a colorful and creatively designed Genesis child theme for business owners and bloggers. Give your site a unique look and feel by choosing from 6 attractive layout options. You can place featured images of important posts so as to let visitors mainly focus on them. It includes powerful theme options for changing different elements of the theme effortlessly. Adapt is a minimalistic designed Genesis child theme that is optimized for tablets, desktop and mobile devices. 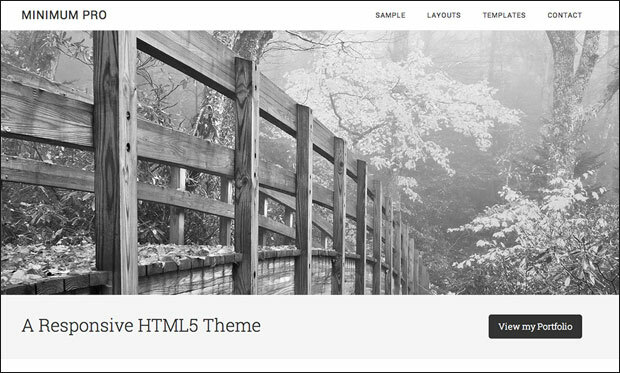 This theme is designed mainly for blog, portfolios and business websites. 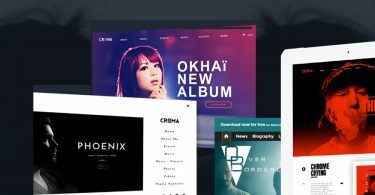 Start building your own site by installing this theme at an affordable price to showcase your projects in a professional way. You can select from 3 unique colour styles and 6 layout options and add custom backgrounds and headers to make site visually attractive. Allegro is a decent looking Genesis child theme from Mojo Themes. This theme works great for portfolio, product catalogue, magazine, blog, services, business and corporate sites. Design your site by choosing from 7 unique colours and boxed or boxless main layout. This theme features different templates for standard blog, grid blog, custom site archive, landing page and portfolio. Ally is a bold Genesis child theme from Appfinite. It features minimalistic layout and would be a perfect choice for bloggers, portfolios and business sites. 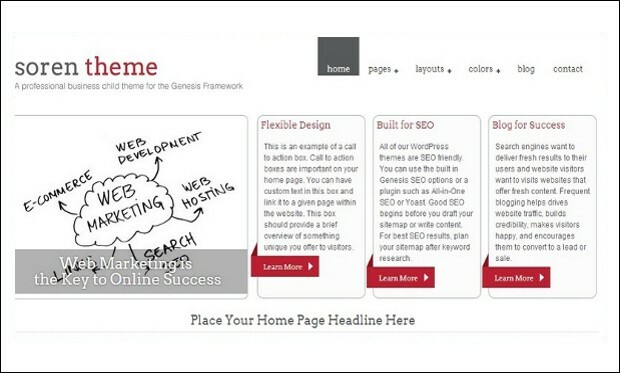 Design your site in 6 various ways in order to make your site stand out from the crowd. Due to its responsive design, this theme looks fabulous on any device ranging from large desktop computer to smartphones and android gadgets. Anneliese is an elegant school WordPress theme built for Genesis framework. This theme is well suited for preschool, daycare, childcare centers and Montessori schools. It is SEO friendly to lessen the bounce rate and improve the ranking of the site for different keywords entered by the visitors. 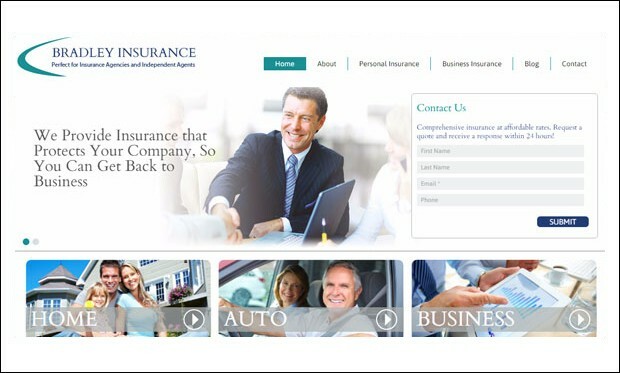 Key features are featured images, call to action boxes, multiple page layouts, sidebars and widgetized homepage. Augustus is a premium Genesis child theme designed especially for small business owners and companies to help them setup their own site in no time. Give you site a unique look and feel by selecting from 5 unique colour options. This responsive theme is optimized for mobile devices, desktop, laptop, iPhone, iPad and smartphones. You can place multiple sidebars on different web pages. Bijou is an eye-catchy Genesis child theme that comes packed with lots of features for easy creation and configuration of the site. It has been programmed with HTML5 and CSS3 techniques and includes useful shortcodes. This theme is perfectly developed for tech firms, design firms and startup companies who wish to build their own site to showcase their products and services beautifully. 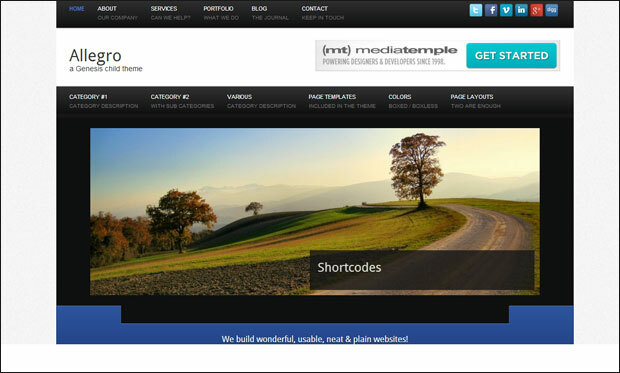 Altitude is an attention grabbing WordPress theme from StudioPress. It comes loaded with flexible features for customizing each and every aspect of the theme without any coding knowledge. This responsive theme is optimized for iPhone, iPad, PC, laptop, tablets, android and mobile devices. Some important features of this theme are landing page, custom header, theme options, theme customizer, custom background and colour styles. It’s a photography Genesis WordPress theme that features responsive layout to make your site look and work great on devices of different screen resolutions. It is equipped with .po and .mo files for translating posts, pages and widgets to any local language of your choice. You can use this theme as many times as you wish as it features unlimited domain usage. 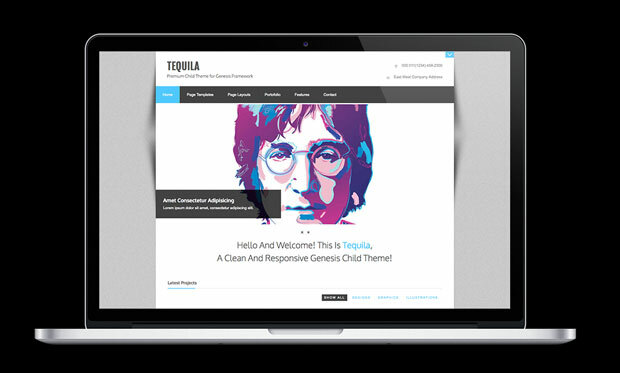 Tequila is a clean and simple portfolio WordPress theme that extends the native Genesis functionality. This theme is suitable for bloggers, creatives, agencies and business owners to help them create their own site without worrying much about the coding part. Download this theme at $49 to get started with your dream site. It is well coded by WordPress developers to ensure future web compatibility. 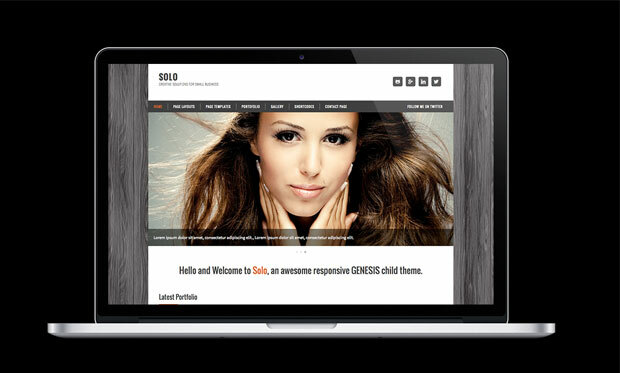 Solo is an amazing Genesis child WordPress theme featuring responsive layout. This theme is optimized not only for mobile devices but even fits perfectly on tablets, smartphones, desktop and laptop computer. It is search engine optimized to improve the website presence for different keywords. This theme is ready for translation to multiple languages as its localization ready. It supports latest released version of web browsers. Engrave is a portfolio WordPress theme developed for those who wish to build portfolio and business sites. It is cross browser compatible, mobile ready and localization ready. By using extensive theme options, you can easily gain control over the site within a couple of clicks. It inherits Genesis SEO options to optimize the site on major search engines such as Google, Bing, Yahoo etc. 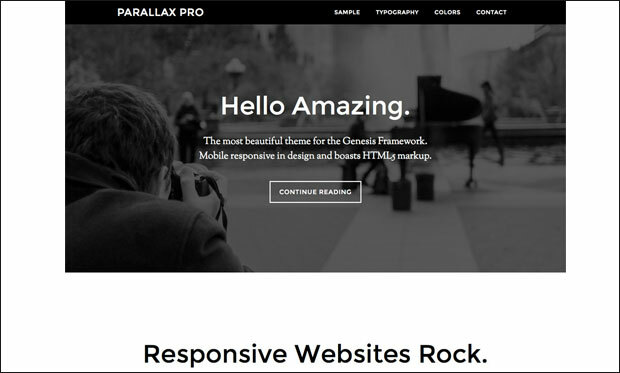 Parallax Pro is a premium WordPress theme including Genesis framework. It allows you to choose from 5 colour styles and add custom backgrounds and headers to the site. It features HTML5 markup and parallax scrolling effects. Users are provided with unlimited theme updates to keep them notified with latest information. If you encounter any issue then the detailed tutorials can come in handy. 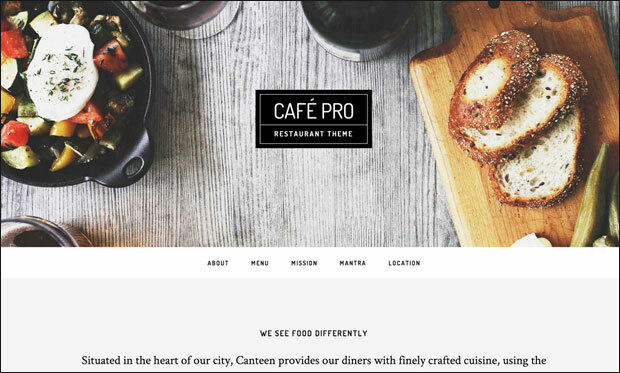 If you wish to build a great restaurant or food related website then this WordPress theme would be a best choice. Cafe Pro is built with HTML5 markup language and features mobile responsive layout so that visitors can easily access your site anytime and anywhere. This theme offers unlimited updates and extraordinary support by the team members. You can add information about your business hours, address, contact details etc using simple widgets. 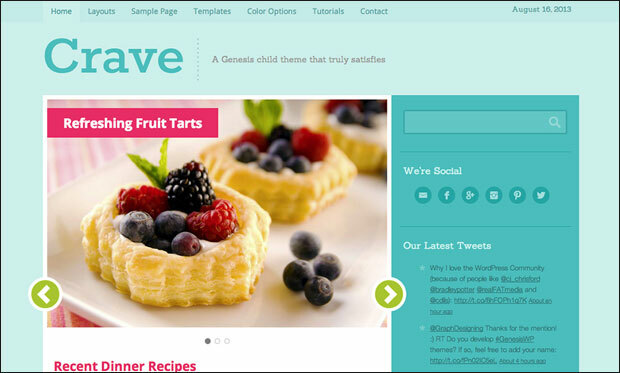 Crave is a magazine styled WordPress theme suitable for creating any kind of food related website. 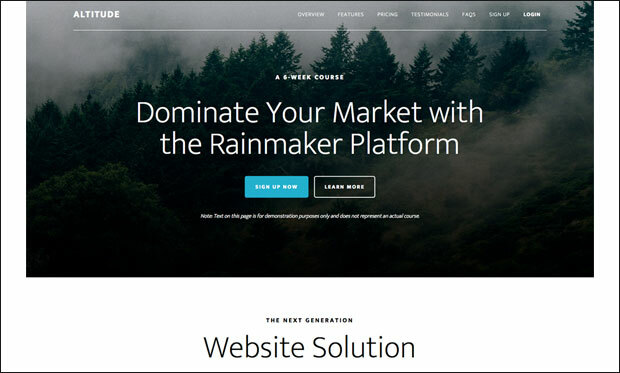 Start building your own site by installing this theme at a reasonable price. You can add featured images of delicious food items to grab visitor’s attention towards the site. It includes multiple theme options for changing different elements of the theme to suit your needs. 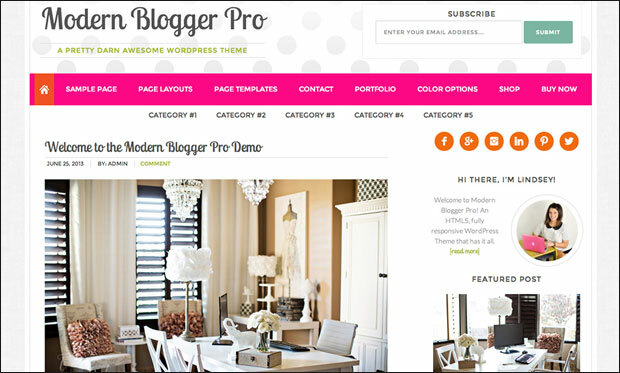 Modern Blogger Pro is a beautiful WordPress theme that includes Genesis framework. 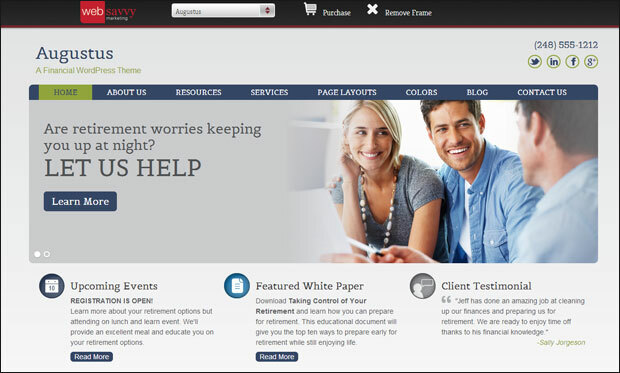 It features fixed width layout, threaded comments, 6 layout options, theme options and featured images. This theme is designed to provide visitors a remarkable viewing experience from any device like desktop, laptop, iPhone, iPad, tablets or smartphones. Whenever you face any issue then check out the detailed tutorials and get stated with your own site in no time. 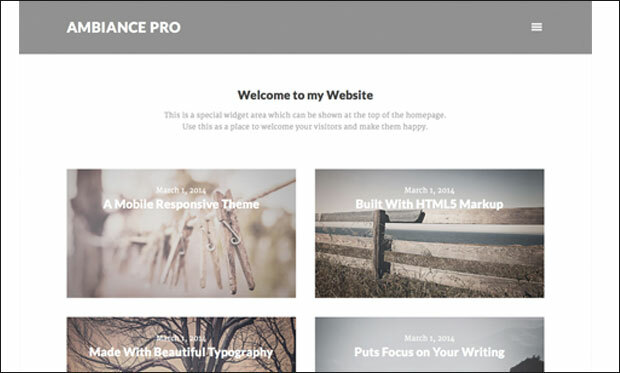 Ambiance Pro is designed for those people who wish to build an elegant website in a professional way. This theme allows you to interact with the visitors of the site through your words, posts and images. You can alter each and every aspect of the theme with the help of powerful theme options. 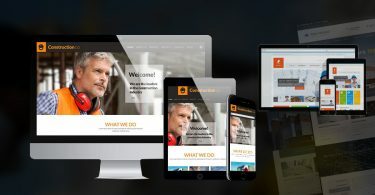 It is mobile responsive to make your site look and work great on any screen sized device ranging from large desktop computer to mobile gadgets. 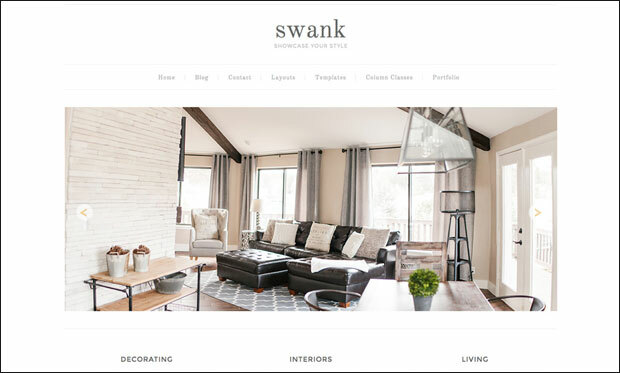 Swank is a fully functional WordPress theme that includes Genesis framework. It features clean layout to help visitors mainly focus on the content without any sort of distractions. You can display important data using portfolio custom post type. Design your site by choosing from 6 layout options and inserting custom backgrounds and custom headers on the web pages. The detailed tutorial will be helpful in solving your potential queries related to the theme. 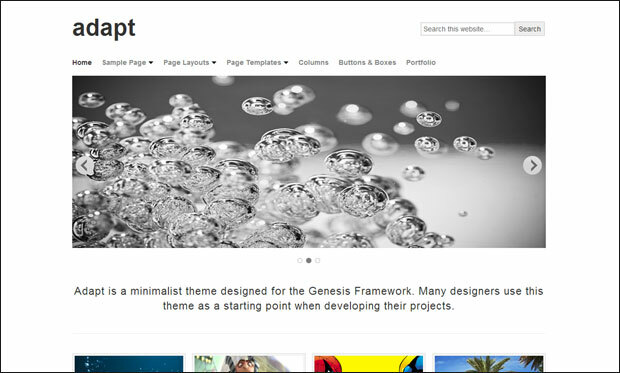 Minimum Pro is a clean and uncluttered WordPress theme for Genesis framework. This theme is built using HTML5 markup language and provides users unlimited theme updates and excellent support in order to get them started with their own site in no time. Visitors will have a distraction-free viewing experience from any mobile device. It features footer widgets, custom header, custom background, threaded comments, featured images and detailed tutorials.